Undoubtedly, Chhatarpur is a hub of wedding venues in South Delhi. 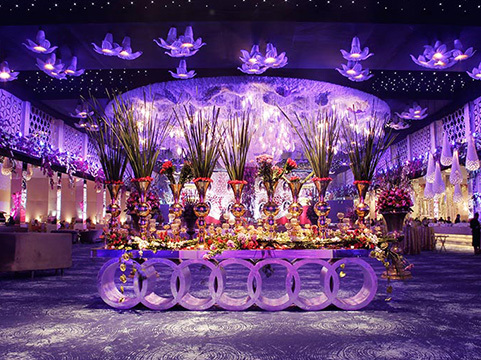 There is every kind wedding venue in Chhatarpur, to meet the requirements of your event. Not only farmhouses but, there are plenty of banquet halls in Chhatarpur as well. Amongst all, FNP Gardens has three venues in this area named, Shagun Farms, Pavilion and Chhatarpur Central. 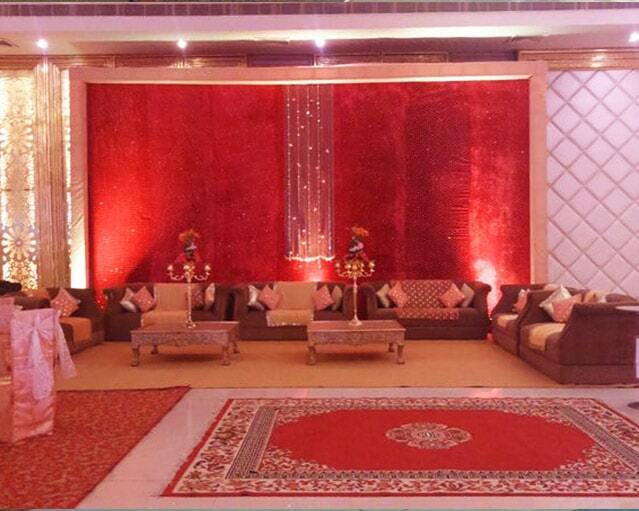 All the three venues have open lawns as well as closed setups that can also be customized as per the client’s needs. Pavilion is the newest addition in the venues by FNP Gardens and it has a very unique feature, which is a Glass Hanger specially designed to make your events look unique. Opulent by Ferns N Petals is newest addition in FNP Gardens’ family. 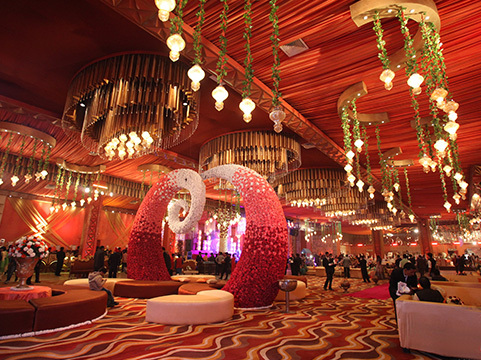 It is one of the most exquisite and beautiful destination weddings locations in Delhi NCR. A spectacular setting lapped by the lavish natural greenery with a unique confluence of the city and luxury built on around 3.5 acres of land. Shagun Farms is one of the popular Chhatarpur weddings venues that boast of right kind of ambience with plush surroundings. 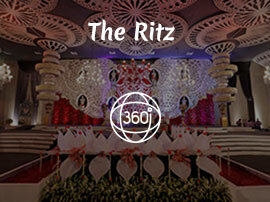 The venue is tailor-made to make your occasion very special, and absolutely personalized. Located on the Chhatarpur main road, Pavilion by Ferns N Petals is one of the exclusive venues in the area. It has an open lawn, glass hanger and a closed setup which is noted as one of the most amazing banquet halls in Chhatarpur. 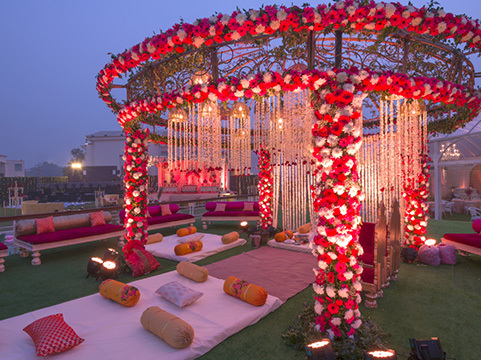 The closed setup as well as the lawn are adorned with the stunning elements that makes them look like breathtaking for your special occasions. 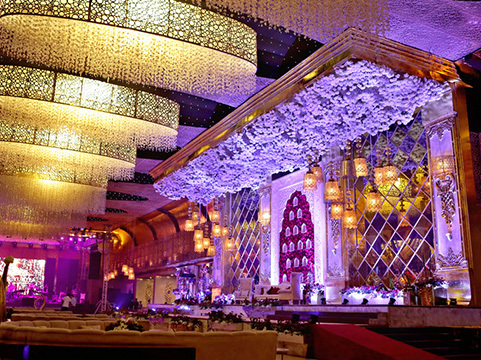 The ambiance at all these wedding venues in Chattarpur is designed to keep up with the modern trends of wedding décor. The elements added to their setting are specially designed as well as fabricated to make them look fairy tale settings. Plus, on special request the décor can be a little modified as per the client’s preference and the requirements. These venues are also listed amongst Banquet halls in Chattarpur as they have both an open setting as well as closed setting. The closed setups are fully covered as well as air conditioned that makes them suitable for all kinds of functions, be it a wedding or some other social gathering. Not only ambiance, but all these venues are equipped with ample parking spaces and other security that plays an important role at gatherings at venues. The venue offers combination of a closed and open setting that can be adorned as per the client’s requirements as well as the occasion of the event. 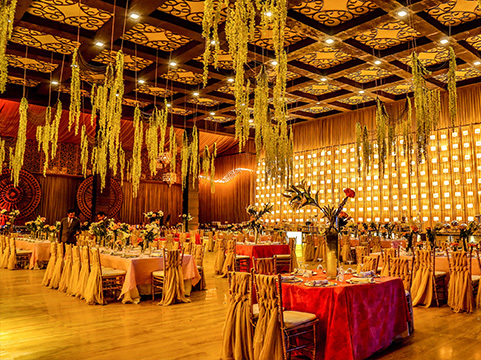 The banquet has a well-lit ceiling that adds a surreal touch to the venue. The décor at the banquet as well as the lawn is usually done as per the client’s requirements which are usually designed as per beautiful theme suiting the occasion.